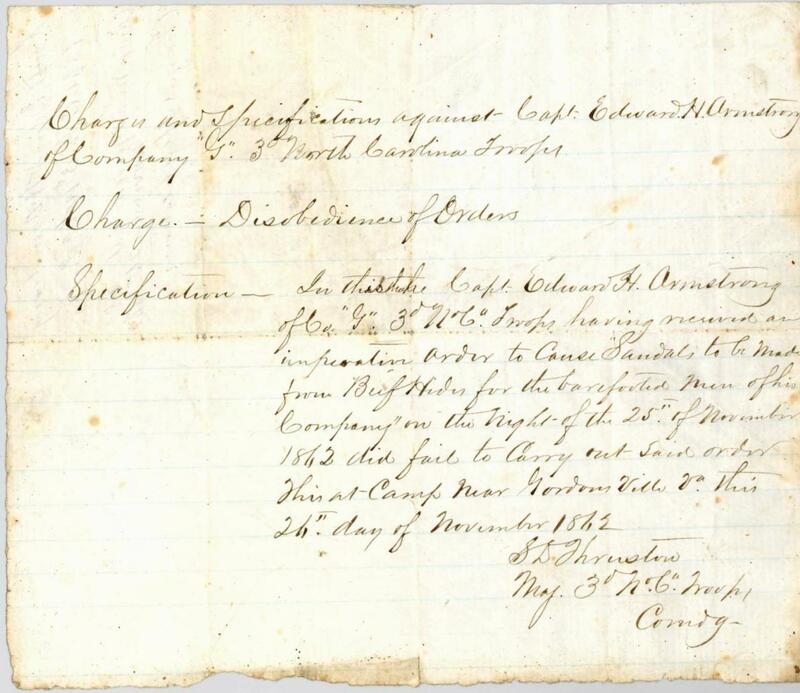 Item description: Charge for disobedience of orders, dated 26 November 1862, as filed against Edward H. Armstrong of Company G, 3rd North Carolina Troops. Item citation: From the Julien Dwight Martin Papers #3639-z, Southern Historical Collection, Wilson Library, University of North Carolina at Chapel Hill. Specification – In this that he Capt. Edward H. Armstrong of Co. “G”, 3d No. Ca. Troops having received an imperative order to cause Sandals to be made from Beef Hides for the barefooted men of his Company on the night of the 25th of November 1862 did fail to Carry out Said order. This at Camp near Gordonsville Va. this 26th day of November 1862. Camp near Gordons Ville Va. 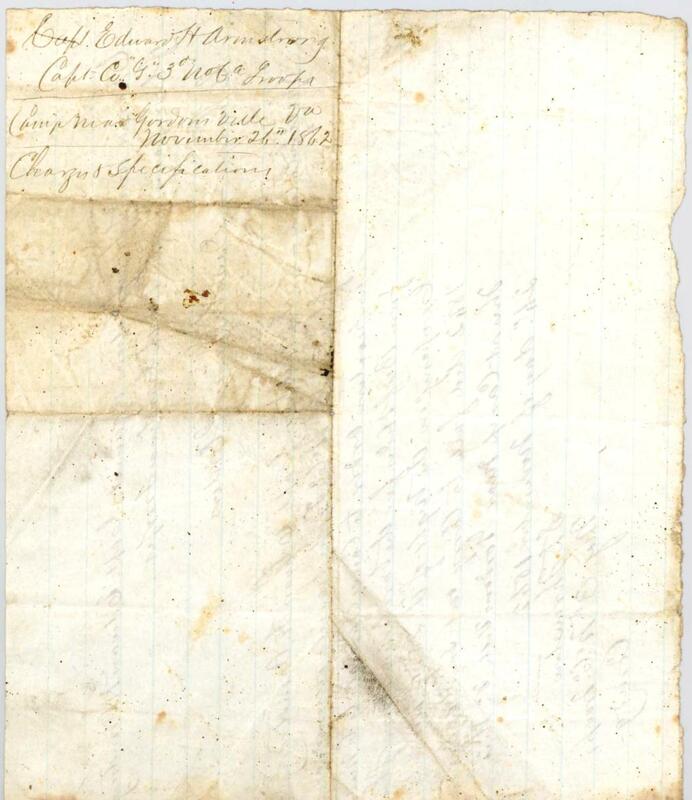 This entry was posted in Southern Historical Collection and tagged 3rd North Carolina Troops, disobedience, Edward H. Armstrong, orders, protocol, University of North Carolina. Bookmark the permalink.